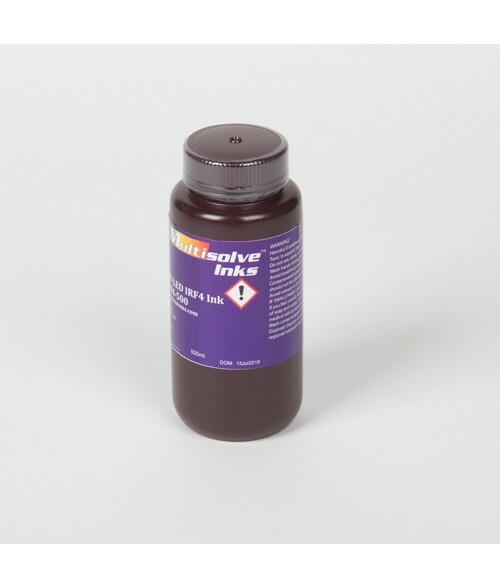 Multisolve F4 inks for UV LED printers are for use with the Direct Jet UV line. These CMYK, clear and white inks bind to many different types of substrates without the need for any pre-coating. Using our adhesion promoter, the inks will bind to many difficult surfaces, such as glass or stainless steel. When using the IRF4 inks, specifically calibrated for UVMVP F4 Editions, cracking and peeling of prints is eliminated or minimized on flexible items like leather belts, printer cables, ribbons and much more.